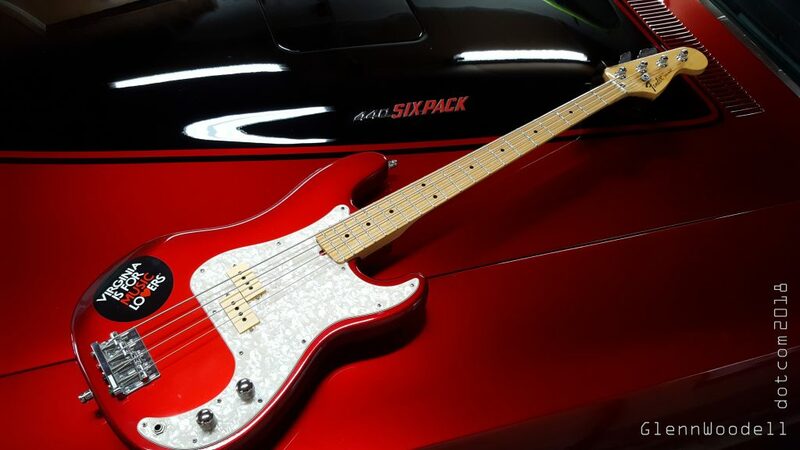 Fender Precision Bass on my 1972 Dodge Charger, both painted with the same red candy paint. Image taken with a Samsung S6 cell phone. I was a visual artist long before I ever knew what that was. As a child I was always a tinkerer who loved to build and create all sorts of projects. It wasn’t until I was beginning my career as an aerospace researcher that I realized I had an interest in the visual world around me. 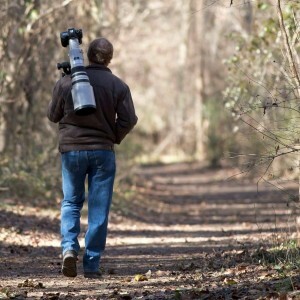 Scouting for pictures on the banks of the James River in Richmond. Click for large image. Photography started with my father’s film camera which I still have today, a Minolta SRT101 with a 50mm lens. 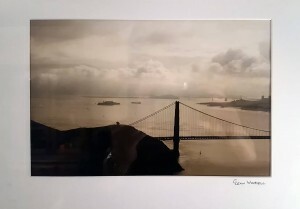 That first enlargement, of the Golden Gate Bridge in 1987, which still hangs in my house today, started me on a long journey of recording the visual world around me. The first photograph of mine that I ever had printed. Click for large image. After tinkering with almost all aspects of photography, I took a 15 year hiatus while my daughter and digital were both still young. I have since moved the film cameras to the display cabinet and taken up recording the world around me in bits and bytes rather than with crystals and emulsions. The necessity to perform most camera functions manually in the early days, combined with a career in human vision research, gave me a firm understanding of light and color and how it is recorded (or not) and even transformed into visual art. 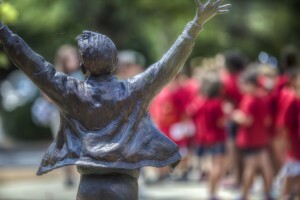 Students gathered in front of the Virginia Living Museum. Click for large image. Today, because of the many influences in my life, I have a much greater appreciation for the world around me and photography is even more important now than it was before. My daughter is older, my career has come to a close, and the time given back to me is now available for exploring and recording the world around me once again. I hope you enjoy this journey through my lens. See more of my work on Facebook, or Instagram or check out my FineArtAmerica page if you are interested in purchasing some of my work. Check out my Facebook and Instagram for some of my work.